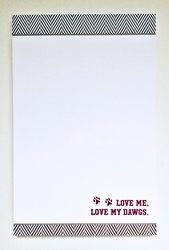 Description: This maroon and white herringbone pattern is perfect for those who love the Dawgs. 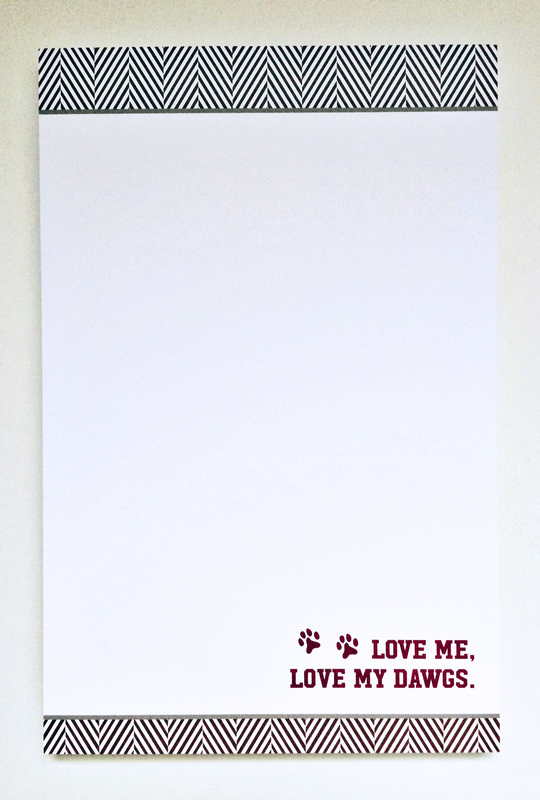 This notepad design works well for him or her and makes a great gift. Thanks for stopping by! We hope you'll find something just right for you. Pink Peppermint Paper's selection of gifts and party invitations is unlike any other, featuring 100% original artwork and often customizable to fit just right.